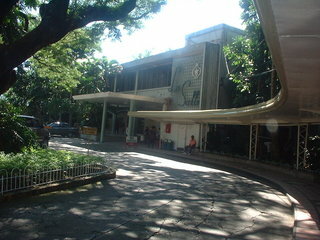 It was yesterday afternoon i went to school…”University of St. La Salle”,its name.There I processed all my requirements for going back again. So many procedures i have to do after i can finish them. 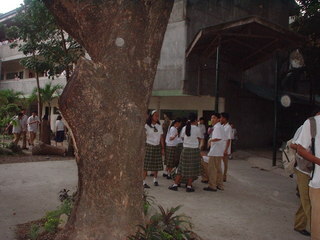 Students are busy talking while waiting for the receipt..some are hungry and need breaktime to have a drink and eat snack. Almost 4 hours i processed them but still unfinished. Eventhough i had a difficulty with it still cheerful because my boyfriend is behind me texting me. He cheer me up.. This picture is bike shop. It’s not bike parking. 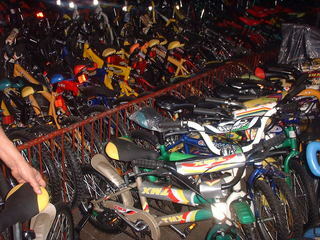 U can buy bike about 3,000 pesos in philippines.I saw a talent who ride a bike and go to store sometimes. I think it’s not good on her. she is long lengs and nice proporsion. why is she not good on bike? I don’t know about it.she has long hair and blow.. and cycling… I can’t image it. i’m wonder cycling is hot??? ?